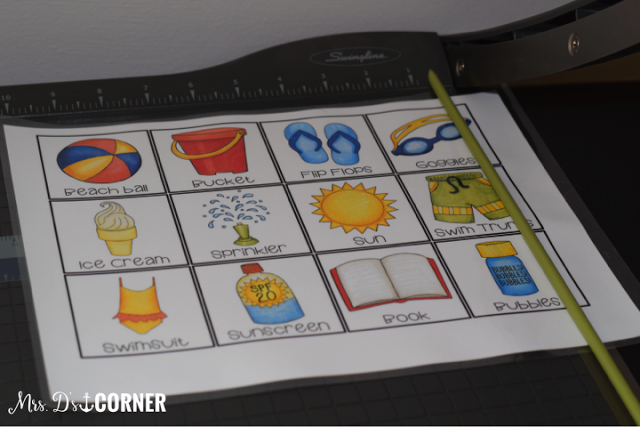 Keeping the kids busy over summer break is tough some days, especially when it rains or is way too hot to go outside and everyone is stuck inside. 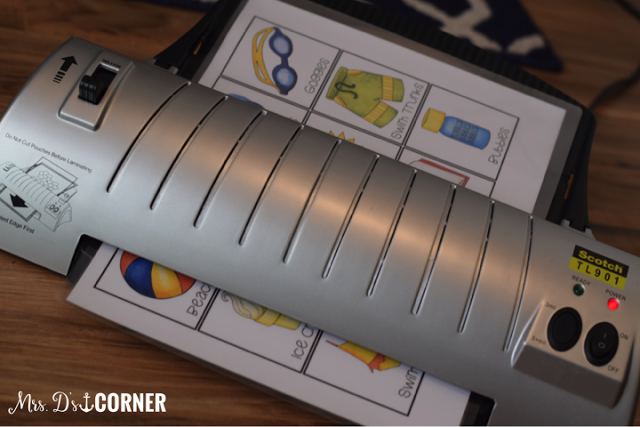 Everyone goes stir crazy… which typically means that it’s game time! 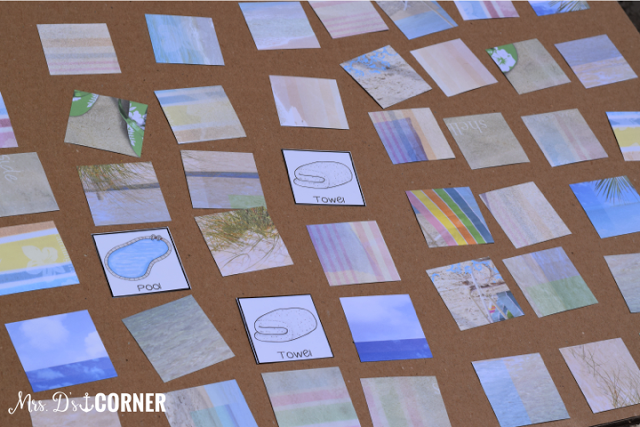 Kids love to play games, especially matching games. 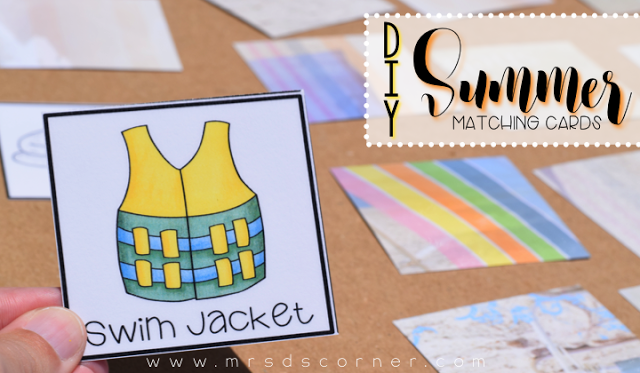 And making your own match game for summer is super simple! 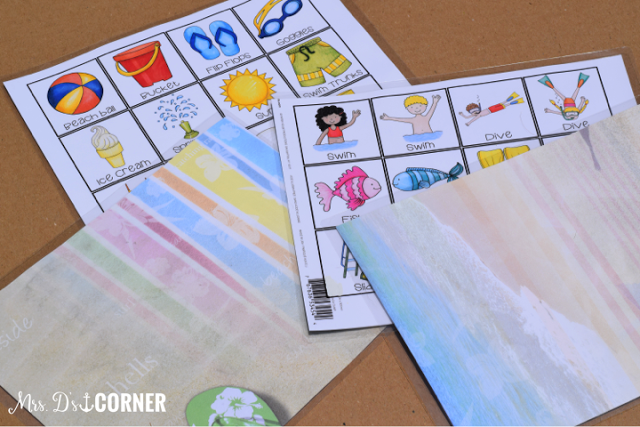 First, you’ll want to choose 4 pieces of single sided scrapbook paper. 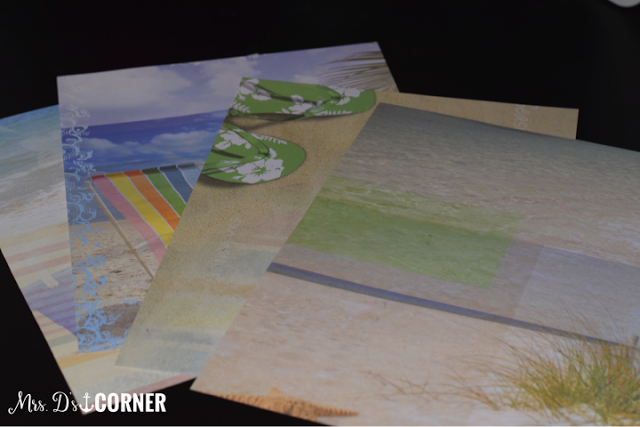 It can be regular paper or cardstock, whatever your printer can handle. 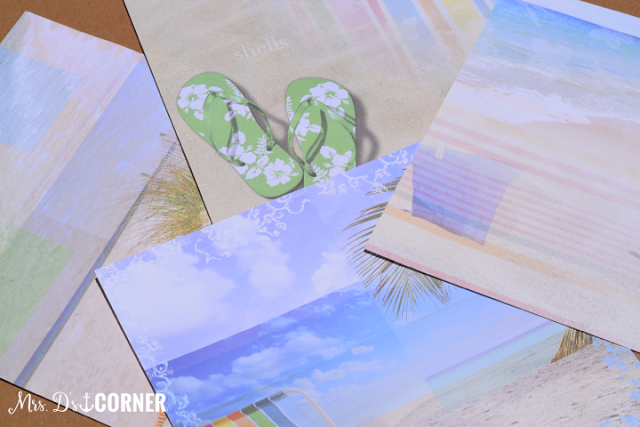 I chose summer-y themed papers because the match game we will be printing is summer-y. You can choose the same piece of paper for all 4, or choose 4 different pieces like I did. It needs to be single sided because you’re going to print on the blank side. 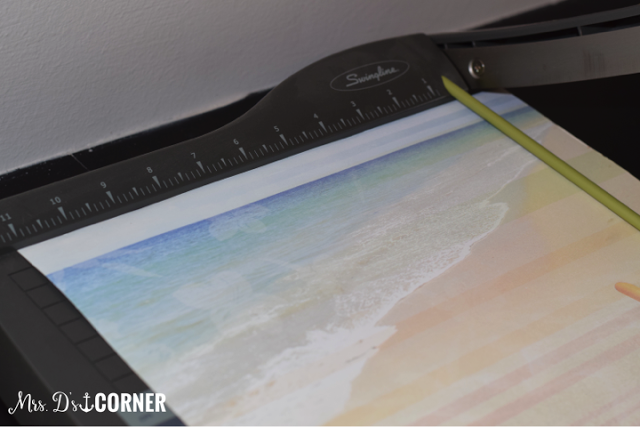 If the paper you choose is larger than 8.5″x11″ (the size of a standard sheet of paper), you’ll need to trim it down. 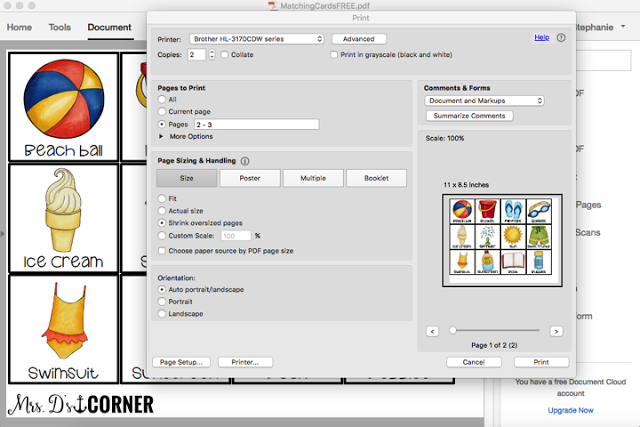 Once you’ve trimmed all 4 pieces down to the 8.5″x11″ size, you’re ready to print the cards. Before printing, I suggest double-checking how your printer is going to print. 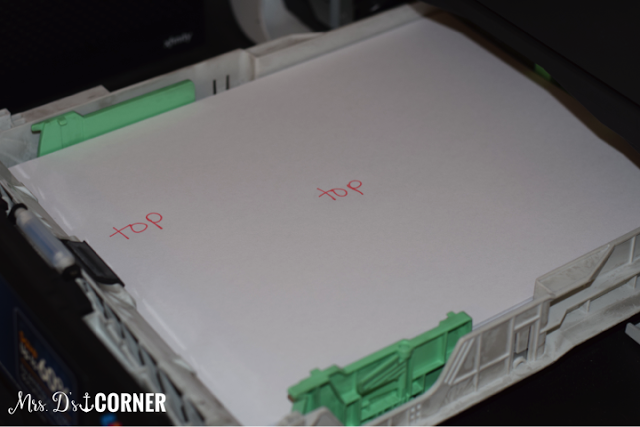 I quickly pulled the paper tray open and wrote “top”. Since I always forget how to feed the paper in so it prints on the correct side, this was a quick reminder. 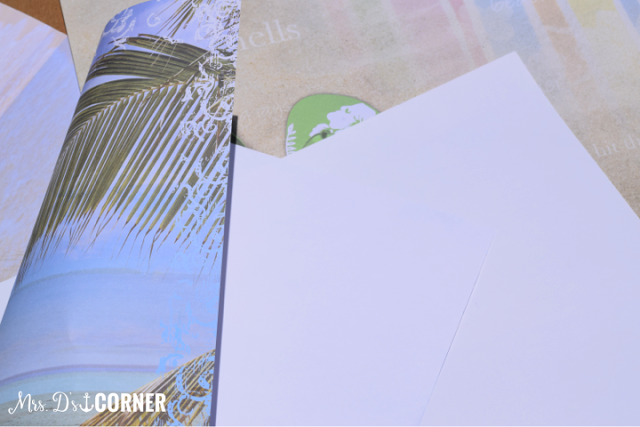 You’ll want to print two sets of the Summer Match cards. This is what you want your 4 pieces of paper to look like after printing. 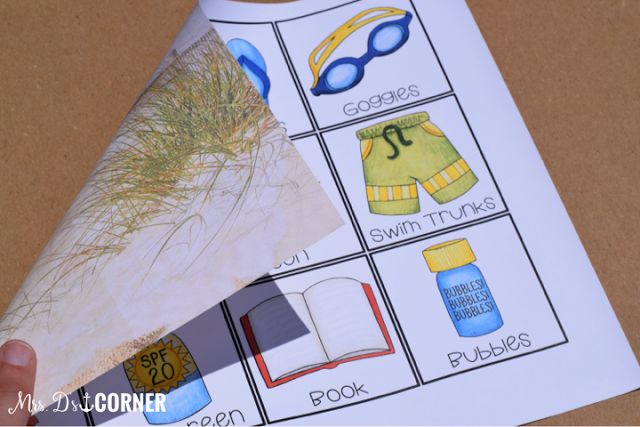 The Summer Match Cards should be printed on the blank side and the decorative side should be the back. 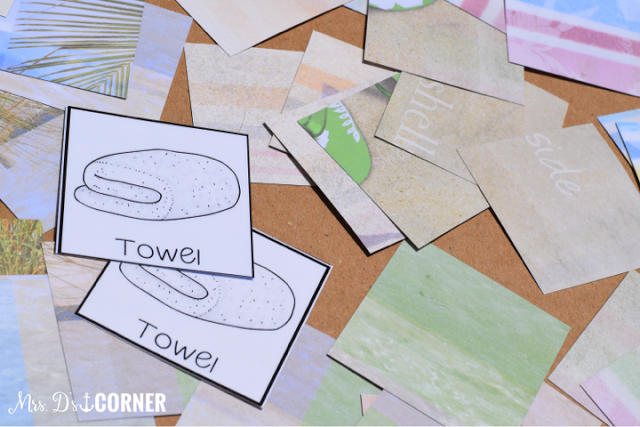 I chose to laminate my cards to make them sturdier (since I didn’t choose cardstock). Laminate as you usually would. 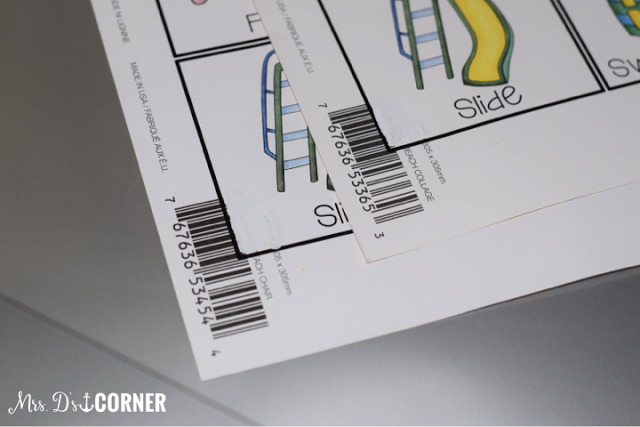 One tip to remember is to not forget about the barcode on the back like I did. When you are trimming the paper, make sure you cut it off. To fix my mistake, I just used a little white out. You can see that the white out I used on the bar code I accidentally printed on came out just fine. YAY! Now it’s time to cut out the cards! I used the paper trimmer to save time. 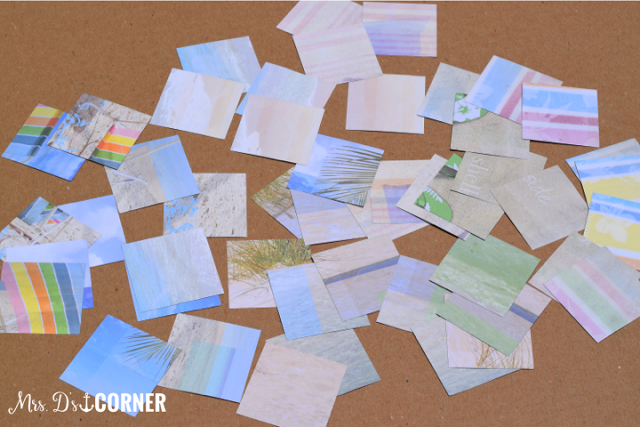 This is what the backs of my Summer Match Cards looked like after I printed, laminated, and cut them out. I’m pretty excited with how they turned out. How do you like yours? Now it’s time to play. Set your cards up like you would for any other match game and get playing. 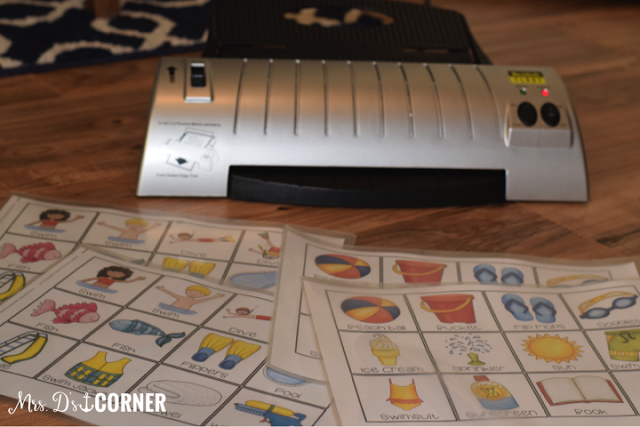 You are welcome 🙂 I hope the little one you tutor enjoys playing!